Welcome to our weekly review of the EUR/USD. Was your forex trading successful? I sure hope it was! In the previous EUR/USD forecast we noted that the currency pair was bearish for the week. 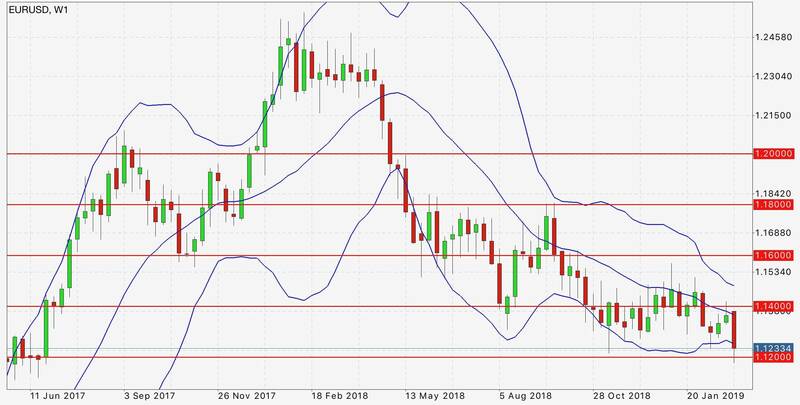 It was a technical week with the currency pair touching the expected support and resistance levels of the lower bollinger band and 1.16. Looking at the EUR/USD weekly chart above we noted that the currency pair was bearish again for the week. It tested and went below 1.14 before recovering above. This is indicative of bearish pressure. The week ahead will be one we need to closely monitor. If the price action continues to chip away at the 1.14 level, the support may be overwhelmed giving way to further bearish momentum. 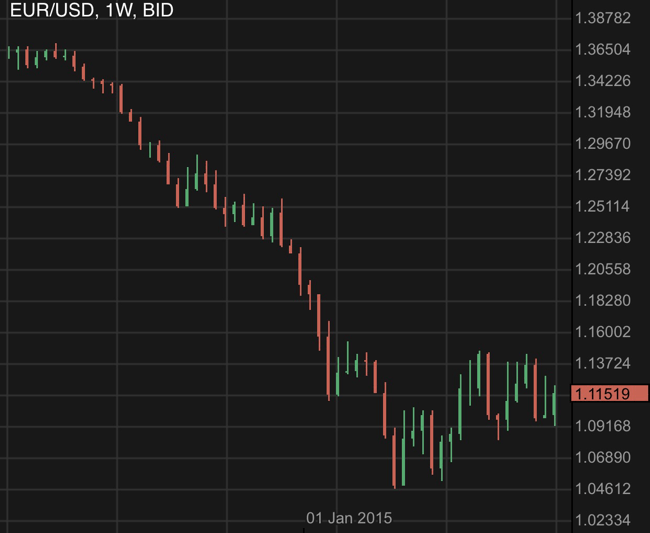 This may bring the currency pair drop to 1.12 which was last seen more than a year ago. It is prudent to drop to shorter time frames to check on the immediate sentiments. Further turmoil in the equities markets probably contributed to a risk averse sentiment as reported by many analysts. The US dollar is often seen as a currency of choice when it comes to situations of apprehension. It was reported that the rating agency Standard & Poor’s downgraded Italy’s outlook to negative. This is due to the ongoing budget disagreements with the European Union which we mentioned previously. This will probably introduce some dread into the markets as investors are averse towards challenges on a sovereign level. We are not out of the woods with regards to the US – China trade war and the Brexit issues. It is possible that these uncertainties may further weight down on the EUR/USD. In the upcoming week we have the US Non-Farm Payroll. As this is an indicator of the employment situation which is linked to consumer spending and economic health, do be ready for volatility should unexpected developments occur. Is the US dollar strength a trend across the major currency pairs? Are most of the forex traders buying US dollar? These premium analysis and more are accessible with a membership subscription. The launch promotion of less than $0.20 per day ends 31 oct 18. Secure your super low rate now. EUR/USD edges upwards as the week progresses. Interesting article from Bloomberg on the US Dollar. EUR/USD dips as risk aversion likely dominated the prevailing sentiments. ECB sees downside risk hence pushing further prospects of tightening. The EUR/USD continues to pivot around 1.11. Uncertainty remains as Greece hangs on a thread from financial break down.